If the eyes are the windows to the soul, are windows the eyes of a building? We’d like to think that is the case, as they fulfil a multitude of purposes. Aside from allowing a space to bask in natural light, windows also provide the person inside a building the opportunity to get a view of what is going on outside, whilst not revealing too much of the inner workings to those on the outside. Something so simple as a window is indispensable to any space, and do much more for the soul than just giving a view of the landscape outside a building – ask any person who’s had to stay in a windowless hotel room. This makes it easy to see why some people have decided to have a little more fun with them. 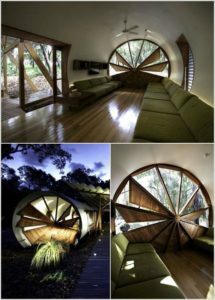 Check out these unusual window designs and consider how much better you would feel looking outside through these. This beautiful Persian-inspired design ties in perfectly with the interior design of this home. Ah, bay windows! Nothing says “this is a place of serenity and peace” quite like them. 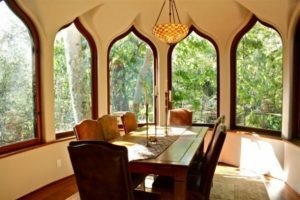 If you’re looking to create good feng shui in your home, there is no better way than incorporating this interesting window, which brings the zen from the garden outside right into the home. This design is interesting because of its size and unusual shape, but another layer is added due to the purpose the shape of the window creates inside. 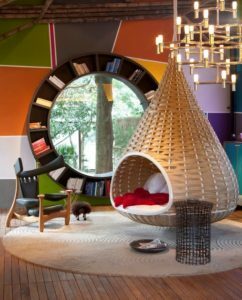 Using the shape of the window as the outline for the bookcase makes this room one we certainly wouldn’t mind frequently on a regular basis. 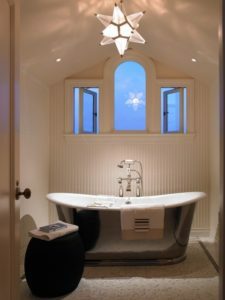 The simplicity of the three small windows in this bathroom contributes to the space in more ways than one, and it would’ve been significantly more boring, had the architect opted for regular rectangular windows. Don’t be fooled by its shape: this window is anything but run-of-the-mill. 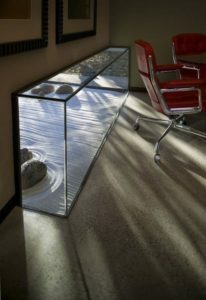 It allows as much light as is needed or wanted, and is eye-catching in every way. 7. Who cares for symmetry? 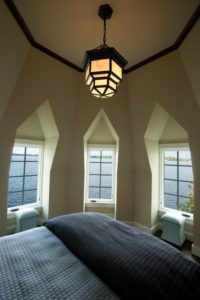 The asymmetrical shape of this window is truly unique, without looking like it would be out of fashion in a few years. 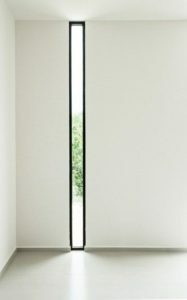 Less is more, states the adage, and this long, slim window hits the mark. A simple sliver light and a glimpse of the greenery outside is the pick-me-up that this space needs.